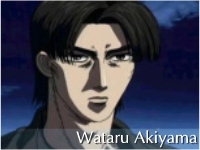 Takumi "Tak" Fujiwara- The new champion of the Akina Speedstars racing team has learned to navigate the treacherous winding roads of mount Akina by delivering tofu for his father's business in the Fujiwara Tofu Shop.He always absent minded when not racing but got killer skills in racing.At first he didn't want to become a racer but after a few matches his become the man to beat in Gunma. 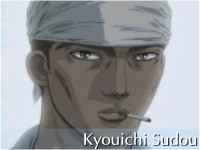 Itsuki "Iggy" Takeuchi- Takumi's bestfriend. 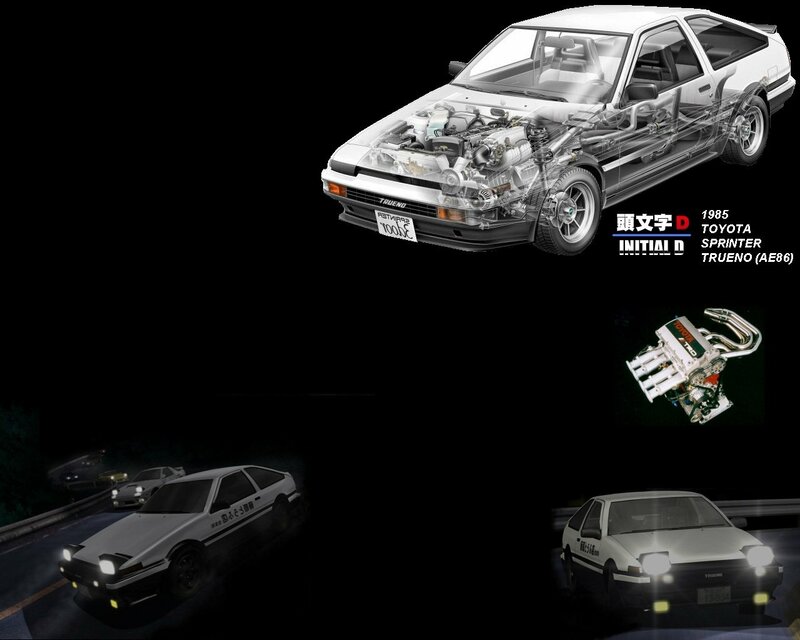 Dreams of becoming a racer,a dream that collides with the reality of his limited skills but he promimses that one day,he & Takumi will form a downhill racing duo that will prove to be the best in the prefecture. 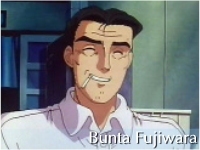 Bunta Fujiwara- Tak's father enjoys a glorious past as a street racer now he's a single parent who has settled down as a tofu chef but his old passion for racing may live on his son.Bunta, like a wise sage,tacity shapes Tak's skills. 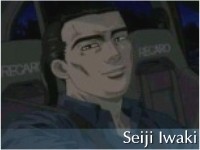 Koichiro "Cole" Iketani- The leader of the Akina Speedstars discovers that there is still much to learn about racing, especially after he wrecks his beloved silviatrying to make the akina downhill.Nobody is happier than him that Tak is taking racing more seriously. 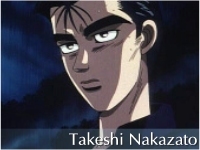 Ryosuke "Ry" Takahshi- The elder of the Takahashi brothers is known across Gunma as the "White Comet".Former leader of the RedSuns. 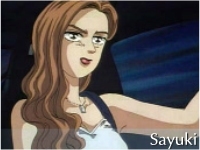 He is also the mastermind behind the all-star racing team "Project D" (fourth stage). Ry is fearless in his mission to become the top racing team on the road. 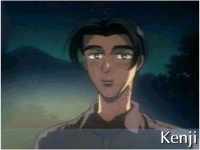 Keisuke "K.T." 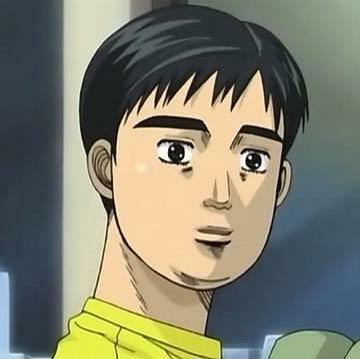 Takahashi- The younger of the Takahashi Brothers drives on instinct and reveres his older brother.He is hot-headed compared to his composed brother. 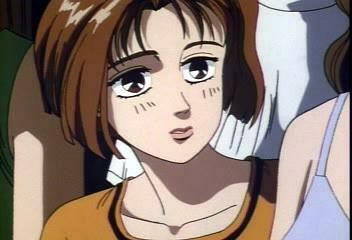 Kenji- Cole,Itsuki & Tak's friend,he is the second best racer in the Akina Speedstars. 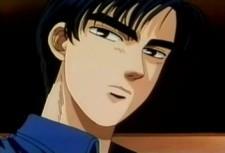 He also is very proud of Tak's talents. 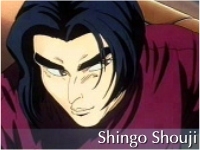 Shingo Shoji- NightKids,drives a Civic and challenged Tak to a "Duct-tape Death Match". 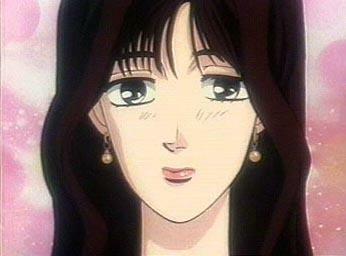 Mako Sato- Impact Blue,drives a nissan sil-eighty. 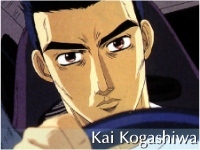 Kai Kogashiwa- drives a MR2 and the son of Bunta's past rival *The descriptions of the main characters above came from the manga.